I don’t always agree with the good Father, but in this case he gets it exactly right. This nonsense has to stop, irrespective of political/philosophical leanings. Anybody who reads this blog knows I am not a fan of Donald Trump, but the “beheading” stunt of Kathy Griffin was not only outrageous and offensive, but it was simply overwhelmingly stupid and crass. By Joking About Violence You Validate It – when you make jokes about something serious. What would happen, for example, if someone were to joke about a black man being lynched? You assume the joker is okay with black people being lynched. Putting aside the fact of Trump being a duly elected president, simply joking about be heading says you think its not really a big deal. That’s dumb. Today is the traditional day for Memorial Day, originally called “Decoration Day.” Up until the 1971 it was always celebrated today. But afterward it has become a movable federal holiday. You can read about its history here, and I hope you will take the time to do so. On a personal note, my grandparents Shaffer were married 100 years ago today in 1917. Take a moment today to remember again those who have given their lives so that we might enjoy the freedom we have. Take time to remember the current members of our armed forces as well and give thanks that God continues to raise up brave men and women to serve our country in a very dangerous world. Thank you veterans, past and present, for your service to our country. May God bless you and yours. Then we come to understand the dimensions of heaven; then we see things as they really are, and we see God as really God! But then, too, we realize that this cannot last, that in order to keep its gratuitous quality, the fragrance of that hour must be paid for in a harsh and severe way. Perhaps because it would all be too beautiful? Perhaps because contemplation would destroy the roots of action? Perhaps because you would never again get anything done, as though you were on too perfect a honeymoon? Perhaps because heaven would start here and now, whereas the way is still long, and possession of the Beloved is feeble? You would not be free any longer. And God is terribly concerned about your freedom in loving him. He knows that you can be suffocated by the greatness and the quantity of his gifts. It is difficult to make a marriage between two persons who are in such different circumstances. [God] brings you his all, while you can only bring him your nothing. How can one set about reconciling such differences? How can he be certain that you are not seeking him out of self-interest? That you are not going to him only because you have found no one else? That you are not going to him for the pleasure you get out of it? That would be too easy and too shallow a love. When the Bible says that God is a jealous God, it is speaking truly. But God’s jealousy is not like ours. He is jealous because he is afraid that, instead of loving him in his naked being, we love his creation, his riches, his gifts, the joy he bestows, the peace he brings, and Truth he makes us a present of. For much of my life, I asked myself why God acted in such a strange way. Why is he silent so long? Why is faith so bitter? He can do everything, so why does he not reveal himself to us in a more sensational way? But it seems that God does his best to remain silent, as if to demonstrate that he does not exist, that it is useless for us to follow him, that we would do better if we went all out to possess the earth. And are there not those who, when faced with his silence, convince themselves that he does not exist? And are there not others who are scandalized merely by the way the world goes? If God exists, why evil? If God is love, why sorrow? If God is a Father, why death? If I have knocked, why has he not opened to me? I used to think all this and more, when I was new to this school. But then, walking patiently, not allowing myself to become frightened off by the first difficulties, hounding his door with the determination of a man on a hunger strike, and, above all, believing his gospel true and unrelenting, I began to see the way things are, I began to discover how God goes about what he is doing, I began to distinguish his stealthy footsteps. . . It was for him to open it, not me, always in a hurry. Sin lies in Adam’s haste, and my lust for possession is stronger than my true love for him. Wait! Oh, the anguish of that “wait,” the emptiness of that absence! But then, little by little, I began to understand, as never before, that he was present in the emptiness, in the waiting. You have lifted us up with your loving-kindnesses. (though we are often anxious). of things going meaninglessly well. serving this country in times of war. both now and for all eternity. in Jesus our risen Lord’s name. Amen. Regardless of the exact date or location of its origins, one thing is clear – Memorial Day was borne out of the Civil War and a desire to honor our dead. 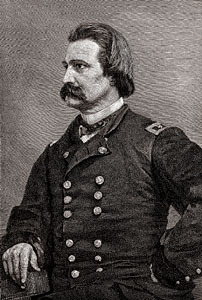 It was officially proclaimed on 5 May 1868 by General John Logan, national commander of the Grand Army of the Republic, in his General Order No. 11. “The 30th of May, 1868, is designated for the purpose of strewing with flowers, or otherwise decorating the graves of comrades who died in defense of their country during the late rebellion, and whose bodies now lie in almost every city, village and hamlet churchyard in the land,” he proclaimed. The date of Decoration Day, as he called it, was chosen because it wasn’t the anniversary of any particular battle.On the first Decoration Day, General James Garfield made a speech at Arlington National Cemetery, and 5,000 participants decorated the graves of the 20,000 Union and Confederate soldiers buried there. Read the entire order that started Memorial Day. I am remembering today the men and women who serve and have served our country, and who have given their lives for this nation. I am thankful for my own grandfathers, John S. Maney and F. Earl Shaffer, who fought in WWI. I am thankful for my father, John F. Maney, and my uncle, W. Everett Jones, who fought in Europe during WWII. I am thankful for my father-in-law, Donald E. Traylor, who served in Germany during the Korean War. I am thankful for my dear friend and brother in Christ, John Falor, who fought in Vietnam, as well as my friends, Tod Tapola and Jim Lytle, who also fought there. I am thankful for Colonel David Mullins who fought in Iraq. I am thankful for Matt Collins, the son of my dear friends, Ann and Curt Collins who serves his country as a Marine. Thank you all, and thank God for continuing to raise up men and women who are willing to serve and sacrifice for our country to keep us free. Sermon delivered on Ascension Sunday, Easter 7A, May 28, 2017 at St. Augustine’s Anglican Church, Westerville, OH. There is no written text for today’s sermon, because like Fathers Sang and Bowser, Father Gatwood has not yet learned how to write. It is a veritable pandemic. Click here to listen to the sermon podcast. 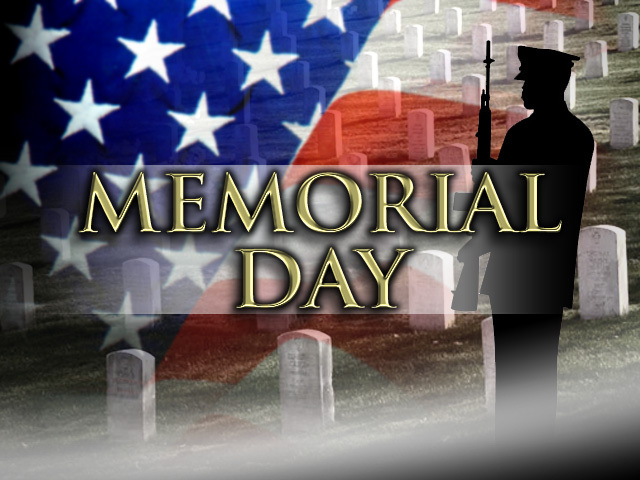 Our nation will observe Memorial Day on a different day than we traditionally observed it until 1971—May 30. Thankfully our family did not lose anybody to war, although my grandfathers and dad fought in World War I and II respectively. 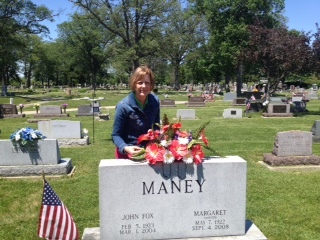 So in addition to remembering those brave men and women who fought and died to preserve our country’s freedom, I have made this weekend a time for both remembering those in my family who have died and honoring them. Since they are no longer living, I have decided that on my watch their graves will be well kept and in good repair. So my wife and I go out and trim around the tombstones, rake the graves, clean them up, and put flowers on them for the summer. Doing so is a way for me to continue to honor them, both for being such a good family and for their service to our country. It also reminds me of how fleeting and transient this mortal life is. When I was a kid, we’d spend Memorial Day at the lake at my grandparents Shaffer’s cottage with my extended family. It was a grand time and I have great memories of those halcyon days. Now I only have their graves to visit and I confess I liked it a whole lot better when I was able to be with them at the lake. So Memorial Day is a bittersweet time for me. But as long as I am able, I will continue to honor my family on this holiday, in part, by caring for their grave sites. It is the least I can do considering all they did and sacrificed for me. May you too find ways to honor and love your loved ones, especially if you are blessed enough to have them still be living. Some much needed commentary on the growing problem of militant Islam in England. See what you think. 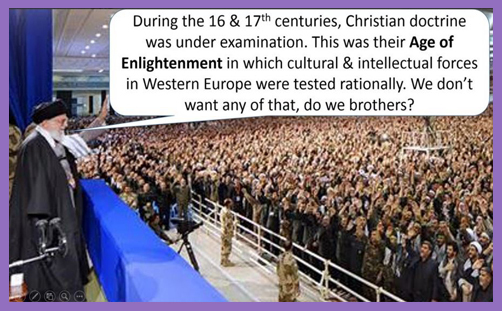 …Many of us believe that only full-bloodied Christianity has the passion, the moral force, the transformative power and the vision to counter the determination and inexorable forward march through Europe of Islam. Islam was once held off at the gates of Tours in the west and Vienna in the east, and it was held off by force. Since military force appears to be currently unimaginable, spiritual muscle, which is always morally and metaphysically preferable to military force, is the only other option. An excellent piece. Please do take the time and read it all. There’s lots to chew on and give you hope.